High accuracy and productivity from wide B-axis spectrum of rotation (+90° to -120°). High rigidity and accuracy structure, utilising roller linear guides on all linear axes and roller gear cam on all rotary axes. High-accuracy multiple-surface / simultaneous 5-axis machining center. Designed to deliver high speed, high-accuracy machining and ease of operation . 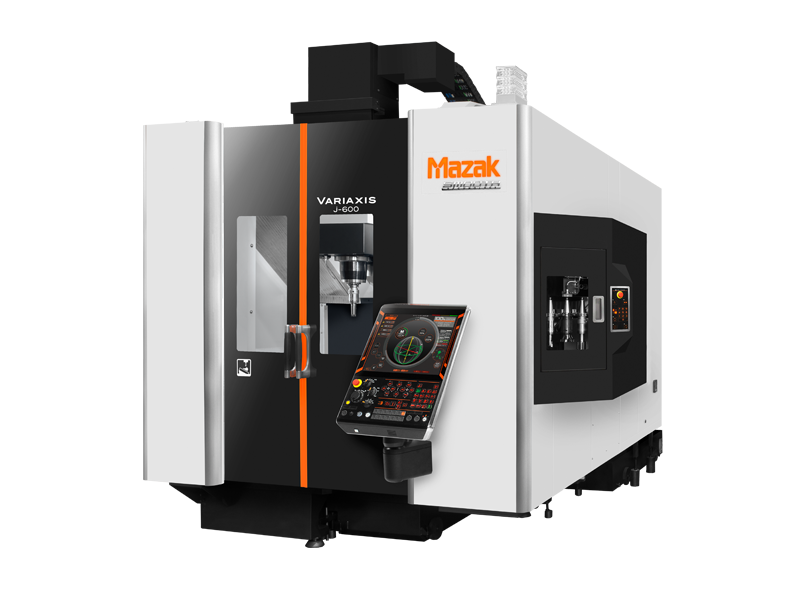 The VARIAXIS j series will define a new standard for multi-tasking machines. A-axis (table tilt) travel amount/indexing 0.0001° B axis 120 to + 90 Deg.